With news of the departure of Jenna Coleman (Clara) at then end of series/season nine, fans worried that Peter Capaldi (the twelfth Doctor) would follow her out the TARDIS door. In an interview with Nick Vivarelli for Variety, Doctor Who showrunner, Steven Moffat has set minds at ease, confirming Capaldi is in, for series/season ten. This iteration of Doctor Who premiered in 2005. Prior to Capaldi, Christopher Eccleston played the Doctor, followed by David Tennant, then Matt Smith. 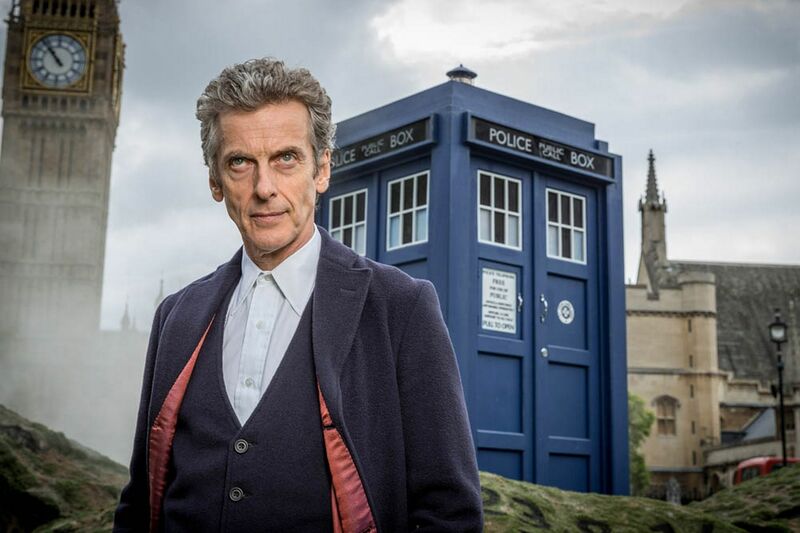 Doctor Who airs in UK on BBC One, and in the US on BBC America. What do you think? Are you a fan of this version of the Doctor Who TV series? Do you think it has five more years in it? Will a woman ever be cast as the Doctor? where did you get your DVDs? I tried a few years back and only found 1 web site, and they didn’t reply back to my quires. I love how caught up I get in all the back story. I would love to see another 5 years but I hope the doctor comes to his senses and brings back the sonic screwdriver. I totally don’t get the glasses. I think David Tennant will always be my favourite Doctor, but I’ve liked Capaldi a lot. He’s much more of an alien than previous incarnations and ties the show back to its beginning. That being said, I found he was underused last season. This season, he’s finally been allowed to shine. Please, please, please bring back the sonic screwdriver. What is this nonsense with sunglasses? I think Capaldi is a great Doctor! Just like each actor before him, he brings a unique perspective. I love how they’re tying in the realization that sometimes the Doctor’s appearance after a regeneration are related to someone he’s had dealings with in the past. I also think the big push for Helen Mirren to be cast as the next Doctor is excellent and would love to see her in the role. Peter Capaldi is a joke that won’t go away! I would much rather see someone else step into the role of the Doctor. So far he has not come close to filling the shoes of the last 2 actors who portrayed the Doctor and I would even go as far as to say that even Eccleston was a better Doctor than Capaldi ever will be! Also, get rid of the stupid sun glasses and bring back the sonic screwdriver. I like Dr. Who, but am still highly ticked at Amazon Prime for dropping BBC. I don’t get BBC America either and I don’t watch enough of the tube to justify Netflix as well. Peter Capaldi is wonderful. I love the guitar playing! However, please bring Jack Harkness! Surely John Barrowman can find time for even one episode per season when not working on Arrow???? ?